Landing an incredible job starts with a distinct resume. 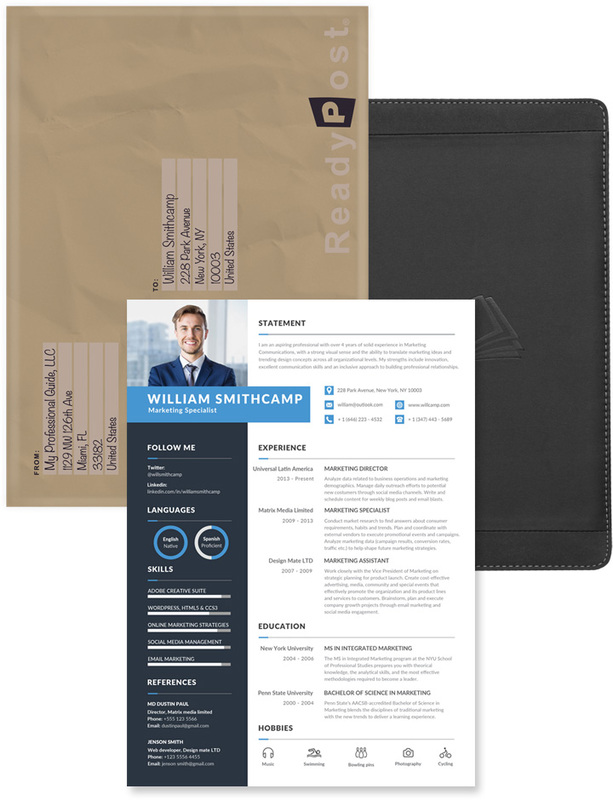 No more old fashioned resumes. Companies are now more than ever interested in their applicant’s identity and how much of a cultural fit they can be to the organization. It’s time to let your resume be just as outstanding as your personality. We don’t just re-write resumes, we dig for skills, uncover potential and make sure you stand out. Get noticed on the world’s largest professional networking site. We’ll contact you via Skype to review interview questions, answers and possible scenarios. 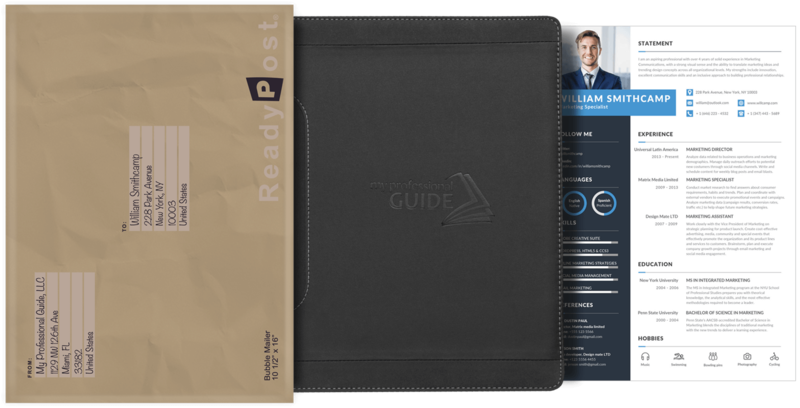 Get a free portfolio with your order. First impressions, whether virtual or in person are crucial. Bring your marketing material with you, store your resume, business cards and note taking accessories in your portfolio. We will create unique documents that will surely catch the reviewer’s visual attention.